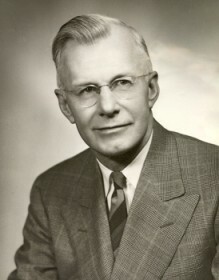 Calvin College president in 1940. He saw the college through the challenges of the enrollment declines during W.W.II (from 499 in1940 to 385 in 1943) and the subsequent large increases after the war (from 503 in 1945 to 1,466 in 1948). Finding housing, instructional space, faculty and financing for such a dramatic growth were the most difficult tasks. In 1949, due to the growth of the number of faculty, Schultze oversaw the restructuring of the academic governance process. In 1950, Schutlze saw the dedication of a new $1 million science building on the Franklin campus, the first major on-campus construction since the 1930 seminary building. Ever the teacher, Schultze continued to speak and write extensively in support of Christian education during these years. After resigning the college presidency due to ill health in 1951, he was appointed Professor Extraordinary at Calvin Theological Seminary. He served ten years as president of the National Union of Christian Schools, beginning in 1930. Schultze married Jeannette Ophof (1892-1984) in 1920. They had three children; Leverne William Schultze, Elaine Donna Weemhoff, and Carole Jean DeStigter.